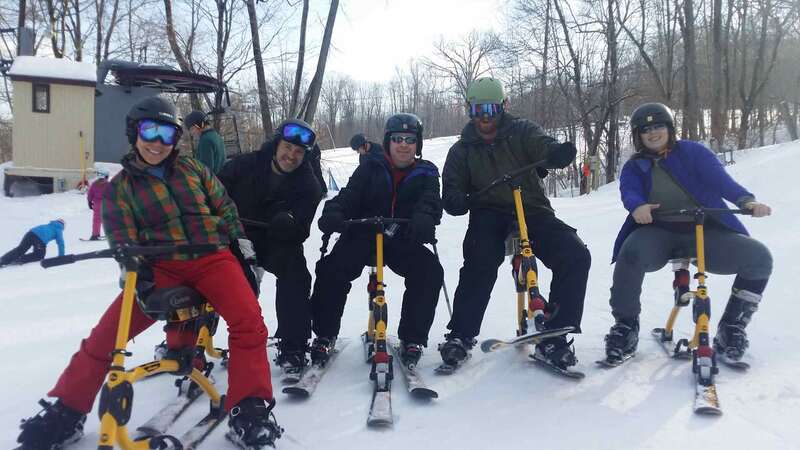 Ride a Snowbike at Powder Ridge! 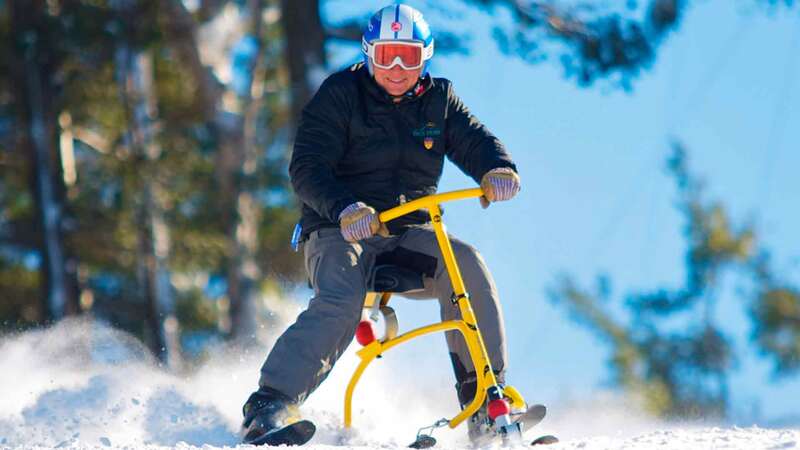 If you can ride a bike, you can snowbike! Snowbiking is the easiest way to enjoy the full mountain experience. 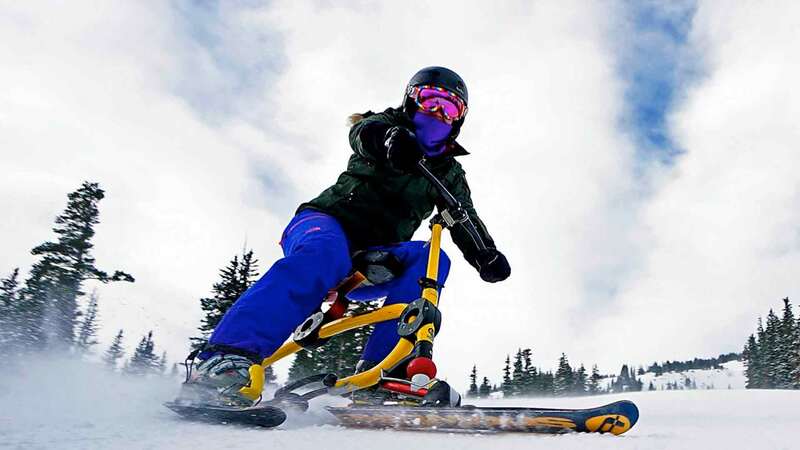 Whether you have never skied or now have physical limitations; snowbiking is for you. 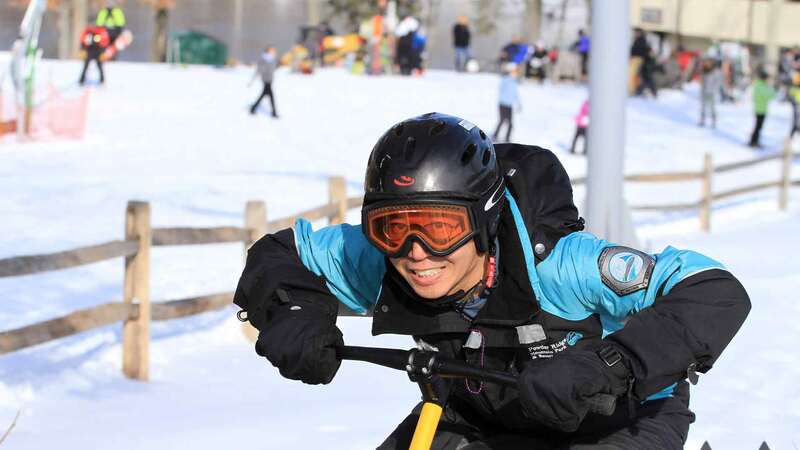 Powder Ridge Mountain Park & Resort offers lessons and rentals of the Brenter Snowbike® B6 Skibike. A one-hour course is required to ride or rent one of our snowbikes.